[Blind Gossip] When this famous singer was still alive, his odd personal life and his plastic surgeries generated as much discussion as his music. At a recent family gathering, all the buzz was about one of his children following in his footsteps. No, it wasn’t about their personal life or about them becoming a singer. It was about their plastic surgery! [His son] got his nose done because he always hated that it was so round and wide. He is happy he got it done because everyone is now telling him he looks more like [his dad]. Well, if his eventual goal is his father’s very unique nose, let’s hope he stops before he gets all the way there! [Optional] Why do you think the father got so much plastic surgery during his life? Because everyone knows of Joe’s extreme mental and emotional abuse towards his “kids” which cause such a stunning man/family downfall. noooo, Prince Jackson, don’t do it! He said in a lot of interviews that when he was younger his father called him ugly. That is a serious blow to your self esteem when you’re that young and your father is Joe Jackson. Michael Jackson and his son Prince. Joe Jackson did a number on Michael’s self esteem. Michael Jackson & Prince MJ Jr.? I’ve heard so much about how “ugly” he felt after he reached puberty. I can only imagine how that & other dysfunction in the Jackson clan messed up his head by the start of the 1980s. Obviously Michael Jackson and presumably Prince Jackson (not Blanket because he’s too young). Why so much? My guess is that he just got addicted and couldn’t stop. He liked what he saw in the beginning and I will even admit that I thought he looked beautiful. Then one day, it was like WTF happened here? Like tattoos for some people. Addictive. Serious childhood trauma resulting feelings of inadequacy, though he was one of the most amazing singers. MJ had emotional damage growing up. Sad let’s hope the son stops long before MJ did. isn’t he too young for surgery? i guess money really will get you whatever you want. morals and ethics be damned. mj hated himself and the way he looked. 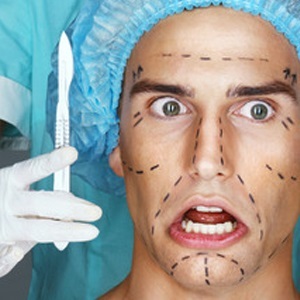 it’s pretty clear that’s why people go to such extremes when it comes to plastic surgery. Either Blanket or Prince Michael. Could be a result of MANY things; too many reasons to discuss here (and honestly, probably too painful to begin to even think about). I think Jackson had a lot of self-hatred. I believe that his upbringing and the industry made him develop a deep self hatred, or perhaps hate for his origins/ family.